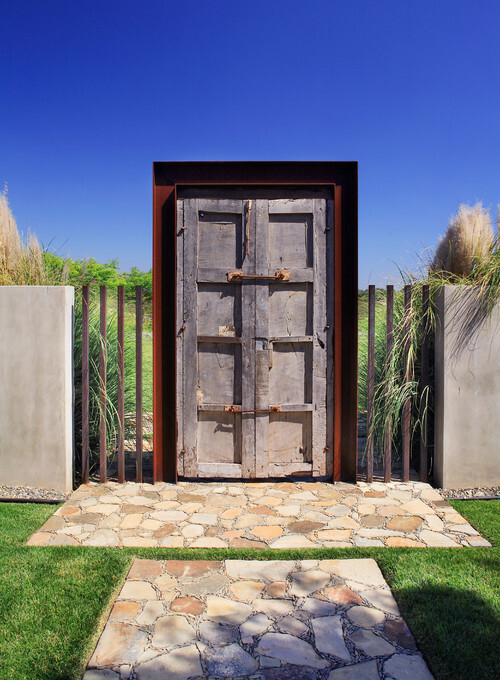 "Two-hundred-year-old mesquite doors framed with Cor-Ten steel form the entry to this garden courtyard in the Southwest." 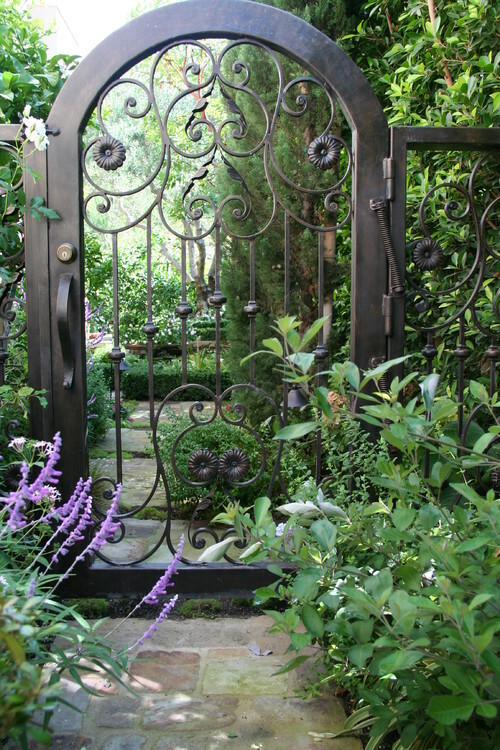 " Mirage Landscape custom-designed this Los Angeles garden gate and had it hand-forged in iron." 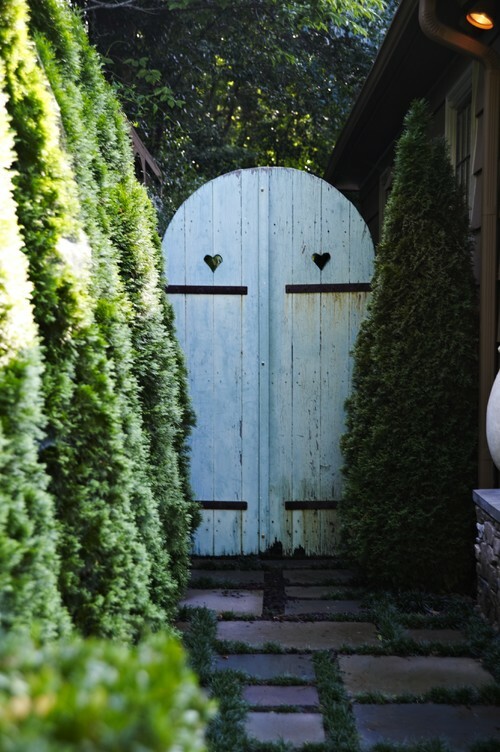 "This antique gate with two cutout hearts is nestled between the soft foliage of ‘Emerald Green’ arborvitae. 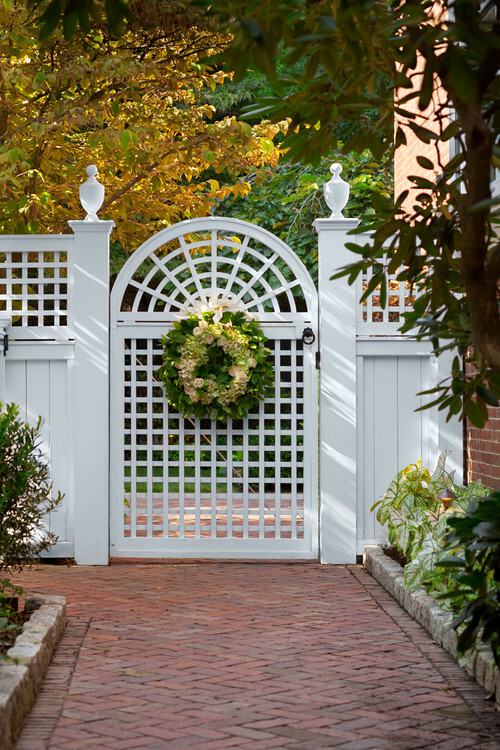 The garden was designedTroy Rhone Garden Design." 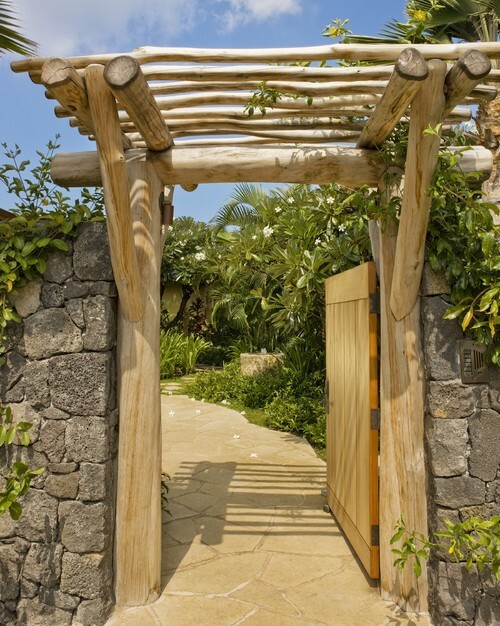 "This simple and unadorned garden gate in Hawaii belies the glamour of the expansive estate and gardens beyond." 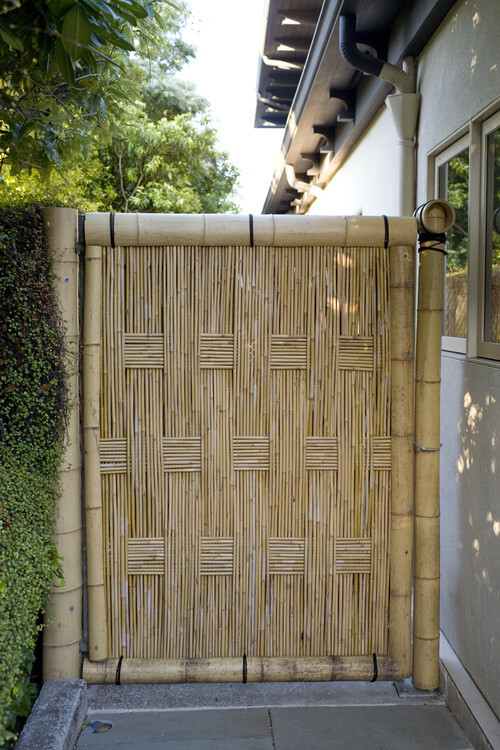 "In the heart of the McIntire Historic Districtin Salem, Massachusetts, you’ll find an array of private gardens behind gates such as this one, designed by the Sudbury Design Group"
"A bamboo gate over bluestone paving conceals a Japanese meditation garden in San Francisco." 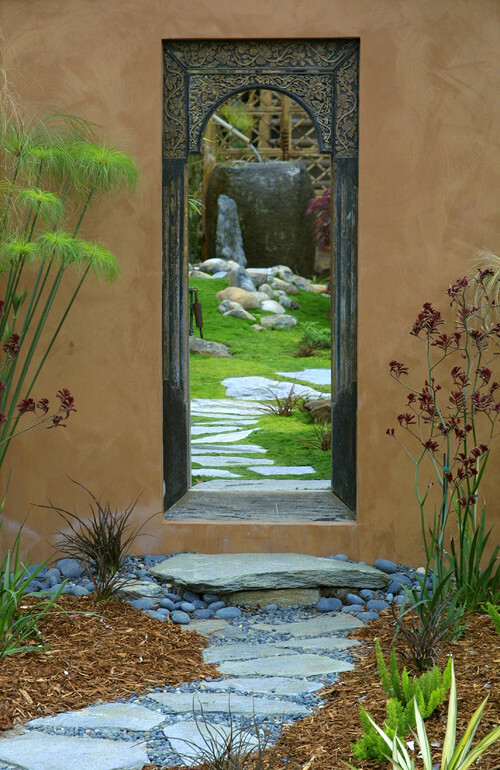 An intricate metal door provides access to a lush garden in Santa Barbara, California, designed by Margie Grace. 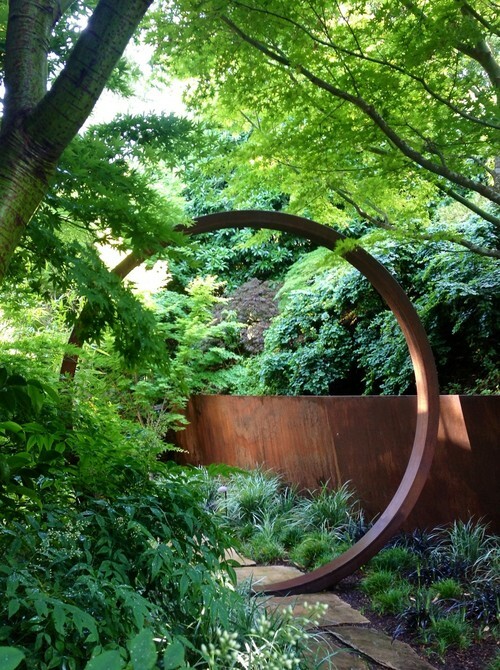 "A large ring gate made from Cor-Ten steel provides an eye-popping entrance to this San Francisco garden, created by Greenworks Design." 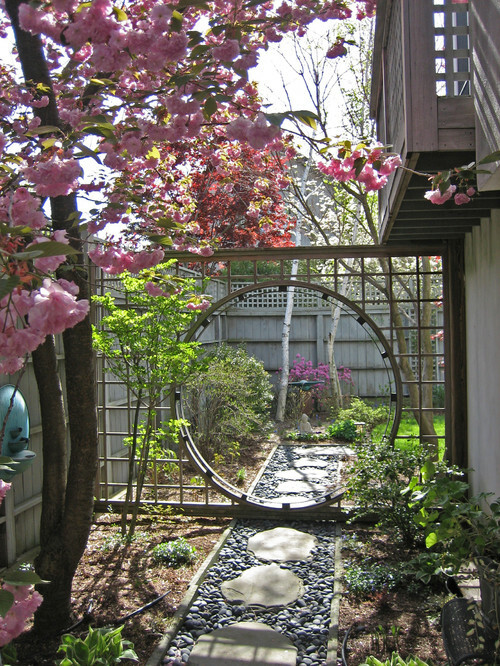 " Leonard Design Associates created this moon gate set in a trellis to provide separation between a dining terrace and a small garden beyond."